The "sky juice" is "SUC de CEL" from the Tramuntana mountains around Sóller. 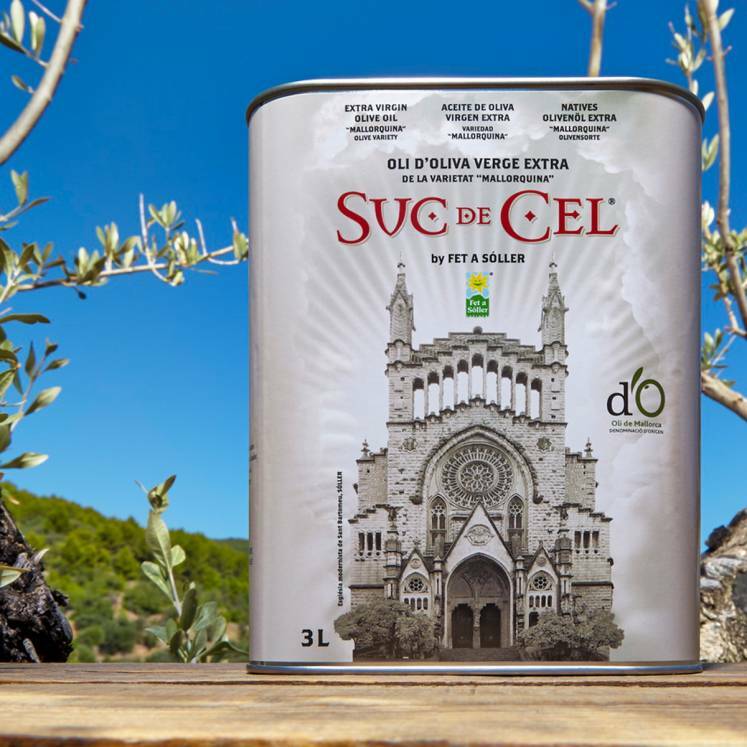 Manufactured from the olive type "mallorquina" and just cold-pressed, it is an excellent olive oil virgen extra, awarded with the original certificate “Oli de Mallorca“. Monumental, ancients olive trees of the high mountains donate the typical noble taste to this special olive oil D.O. With a light, nutty taste, a touch of almonds and a delicate flavour. Particularly suitable for salads and fresh dishes, also with tomatoes and bread or frying and boiling until 180º. 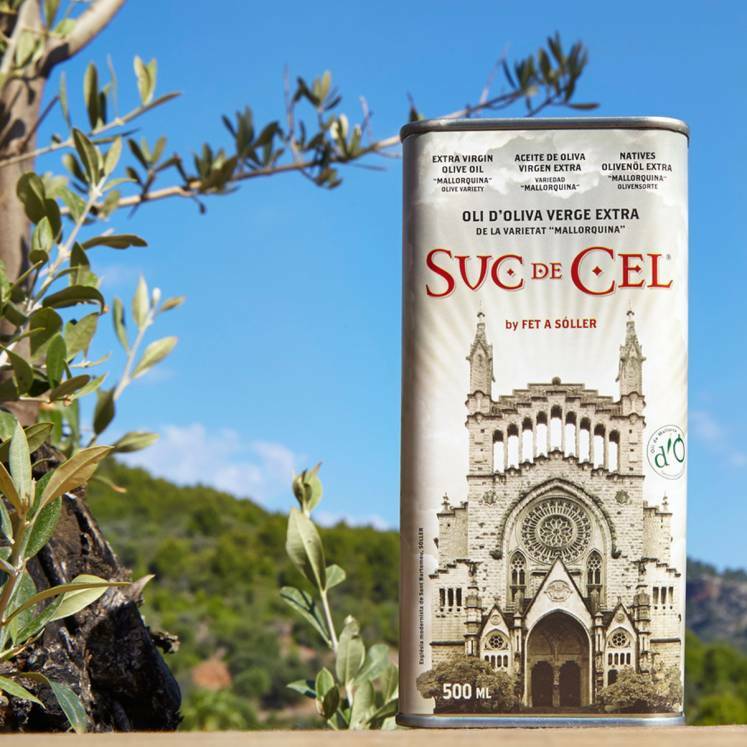 This valuable product was as a tribute to Gaudi and his architect school, in honor of the builder of the imposing cathedral of Sóller and the local saint "Sant Bartolomeu", packed into a neat can with an illustration of the cathedral.